Among all the grains that I have encountered throughout my life both as an amateur cook and as someone who simply appreciates good food, I think that none can compare to rice. 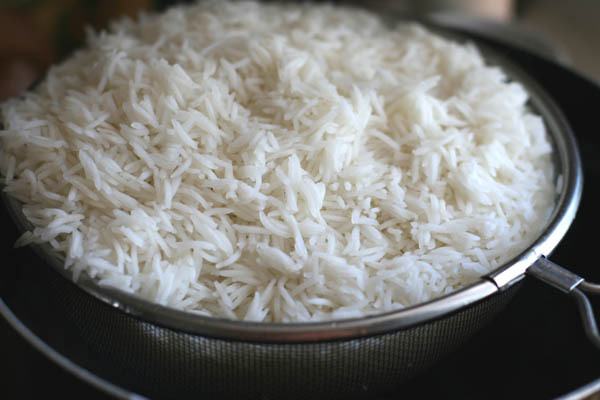 Either served as a side dish or as a main course, rice is a quintessential part of the culinary of countless global cultures, going from Brazilian, Indian, Caribbean, Asian and even select parts of Europe (think risotto, which comes from Italy). I recall one time when my Brazilian grandmother served some kind of dish that pretty much stood alone without a side (for the life of me, I can’t remember what that was – maybe my mom or one of my aunts or cousins reading this now can recall), but she knew to have it there just in case someone wanted it, because to many Brazilians, if rice and beans are not on the table, the meal is just incomplete ( I have often mentioned this to my Latino students, and they have always nodded in agreement). Over the years, I have discovered many ways to cook rice. There is what Brazilians call “Greek” rice (basically boiled with mixed vegetables), rice and beans cooked together, chicken Biryani, bacalao rice (made with salted codfish), rice & cheddar and of course the countless varieties of risotto to be made with vegetables, sausage and poultry. Add that to the many desserts made with rice and this post could reach more than one thousand words. It took a while for Americans to discover rice, but thanks to the large influx of non-Europeans in the country, rice is not only produced here but also widely consumed. Sure, there are many restaurants that don’t have “side of rice” on their menus, but most do include some kind of dish that includes it. But there were times where you couldn’t dream of even finding it on the menu. For instance, I recall watching a documentary made with Antonio Carlos Jobim called Casa do Tom in which he described his first years in New York as bossa nova exploded internationally after Getz/Byrd’s Jazz Samba came out in 1962. He described walking into a restaurant in Manhattan and realizing that there was no rice on the menu because of America’s culinary heritage, which came from European countries where people don’t really eat the stuff. Melt half the butter in a medium saucepan. Sautee the mushrooms until they release their liquid, remove them with slotted spoon and reserve. In the same pan, melt the rest of the butter and add the rice. Stir for about a minute and add the white wine, stirring without stopping until the liquid is absorbed. Add the stock one cup at a time, stirring constantly until the rice is creamy but not too soft (a little beyond al dente). Add the reserved mushrooms, chopped scallions, stir and remove from the heat and cover for about 5 minutes before serving. Serve with a side of steamed vegetables.